This course is sold off-site by Fitness Learning Systems (FLS). Expand Your Income Potential: Specialize! This Specialist Certificate starts with an overview of cancer, how it affects the body, and keys to cancer prevention. Then you learn how to work with clients with breast cancer through knowledge of the disease, treatment, and the anatomy of the disease. You are taught safe and effective recovery and intervention using resistance training, flexibility exercises, water exercise, and Pilates-based exercises. Three separate courses have been bundled together for you, and are approved for up to 12 credit hours (see below for the list of certifying bodies that have approved this course). 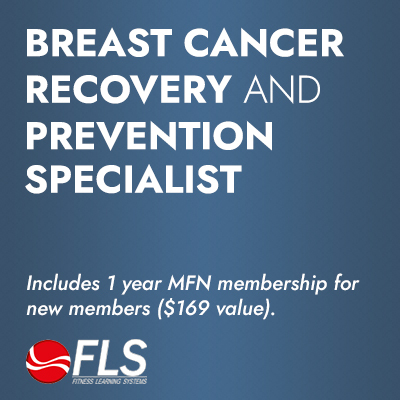 MedFit Network members receive $50 off this FLS certification. 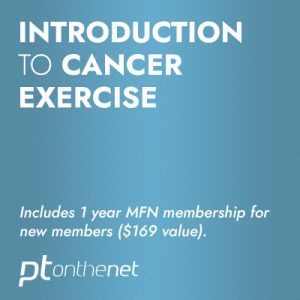 As our population continues to age and medical fitness continues to evolve, health-fitness professionals are likely to see more cancer survivor clients in their practice. Cancer is a disease that affects both the mind and body. Breast cancer is the leading form of cancer in women and there are more than 2 million breast cancer survivors in the US today. Surgery, radiation, chemotherapy, and drug therapy make the fight to recovery from breast cancer an uphill battle. Exercise is a proven modality to help regain strength, mobility, and return function to the upper torso, and other areas of the body that may be affected in reconstruction, after aggressive and moderate breast cancer treatment. Exercise has also been shown in research to help physically and mentally, and to be an important key in breast cancer prevention. 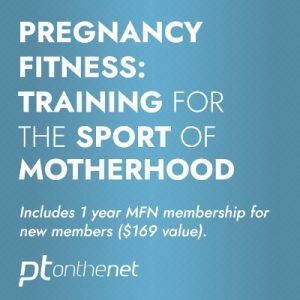 To help you promote your specialized skills once you complete this certificate program and find new clients, we have included a one year free membership in the Medical Fitness Network. 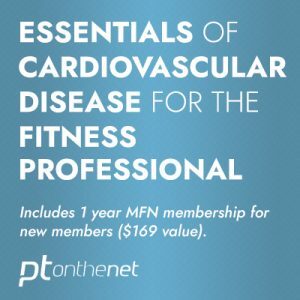 The Medical Fitness Network (MFN) is a free online resource directory for consumers to locate fitness & allied healthcare professionals interested in working with those with chronic disease/medical conditions, including but not limited to: Alzheimer’s, Arthritis, Cancer, Diabetes, Fibromyalgia, Heart Disease, Mental Disorders, Multiple Sclerosis, Parkinson’s, Pre & Postnatal Care, Respiratory Disease and Stroke. In the course material you will be provided a code to sign up for your free membership. Prerequisites: Approved (accredited) Health/Fitness Certification or Licensure, or related Higher Education Degree in related field. Target Audience: Health-Fitness Professionals, Allied Health and Medical Professionals.